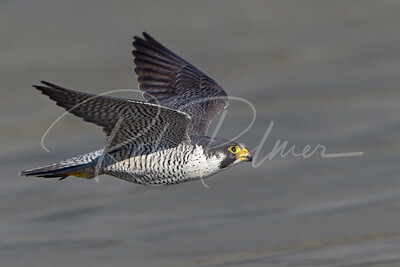 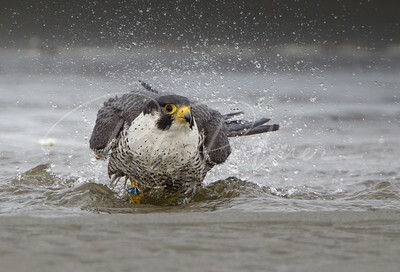 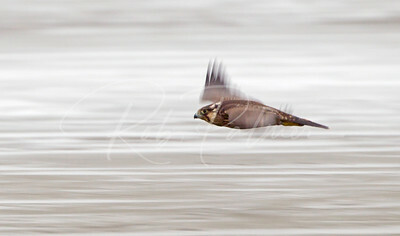 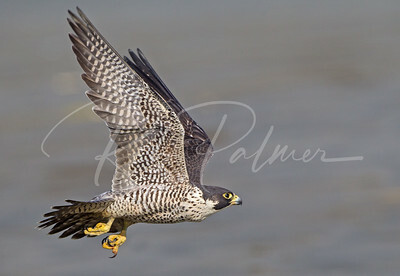 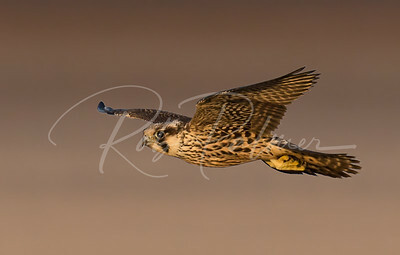 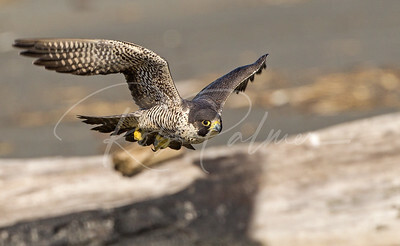 Female Peregrine on the move. 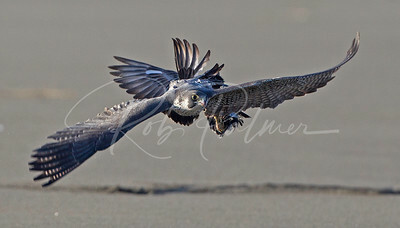 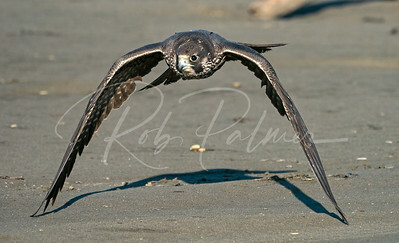 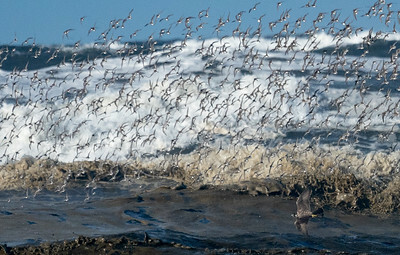 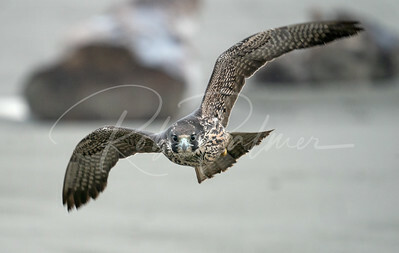 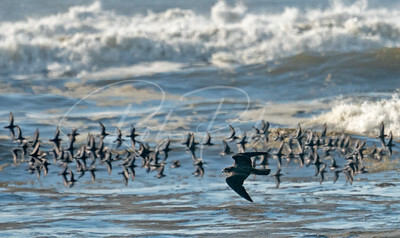 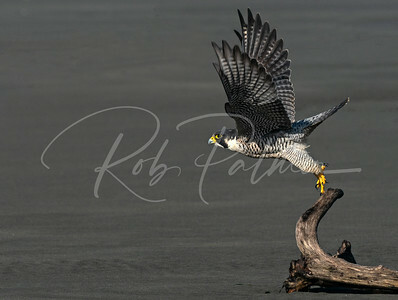 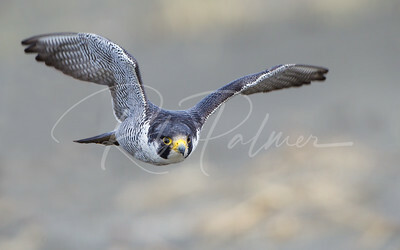 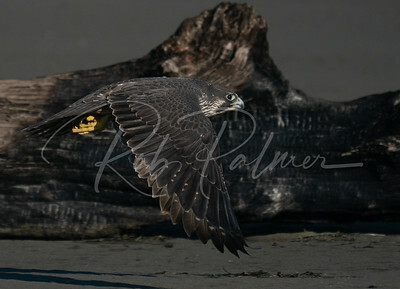 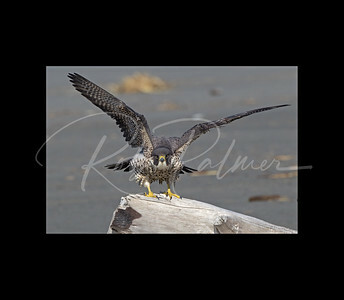 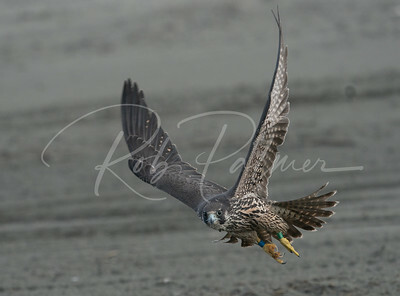 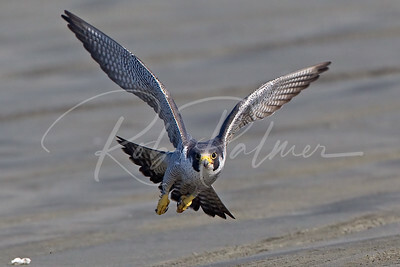 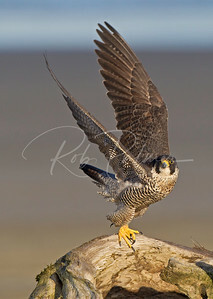 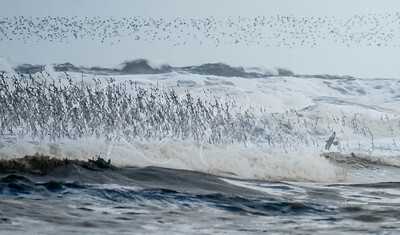 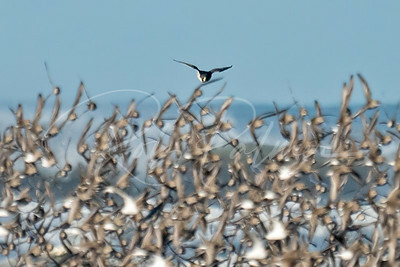 Peregrine in flight on the beach. 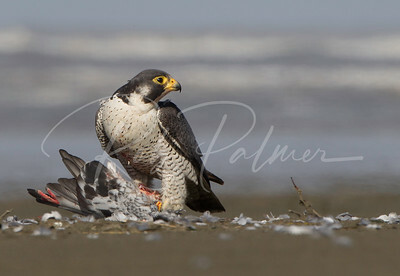 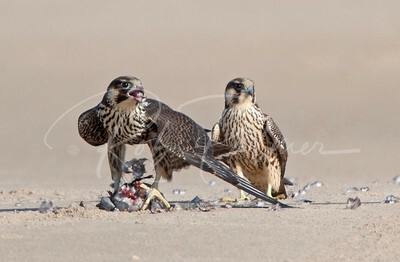 Peregrine on the beach with a pigeon. 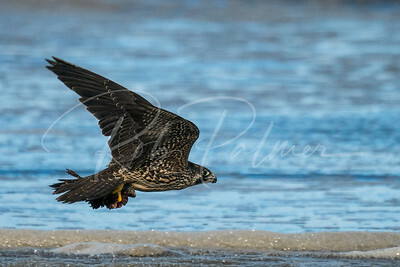 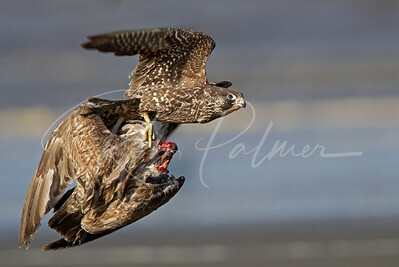 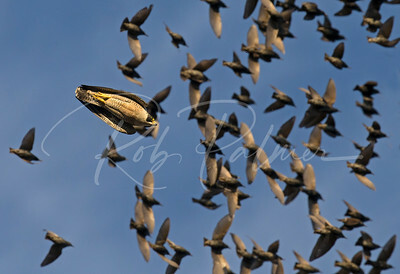 Peregrine falcon with her prey in tow. 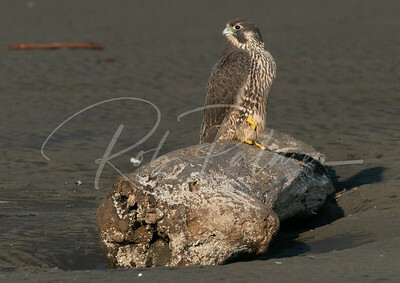 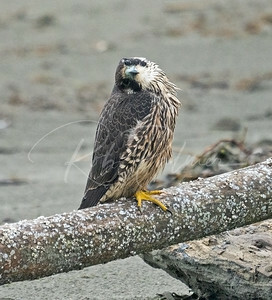 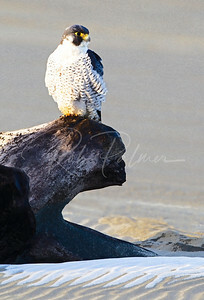 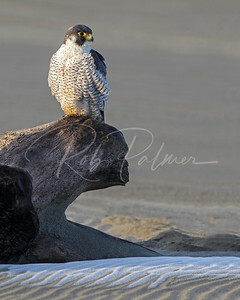 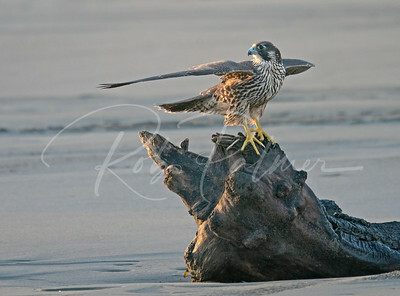 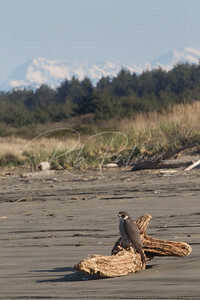 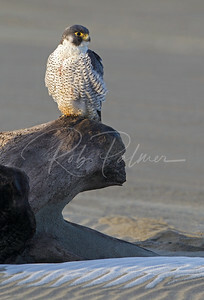 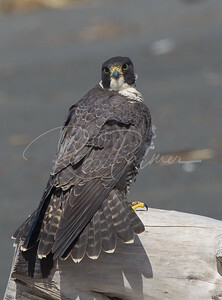 A beautiful male Peregrine Falcon on driftwood. 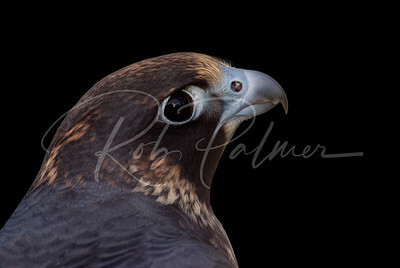 Watercolor Print of the previous image. 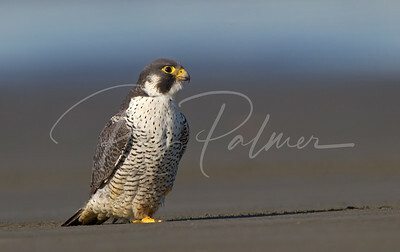 Portrait of an immature Tundra Peregrine. 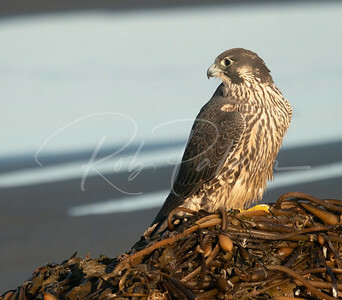 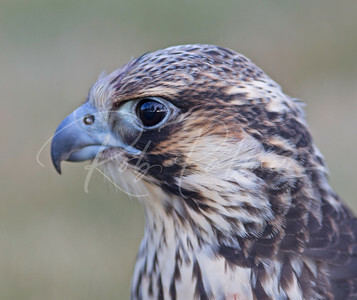 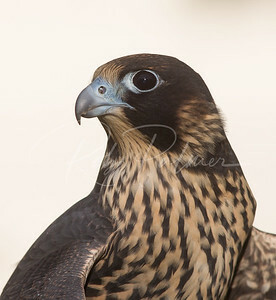 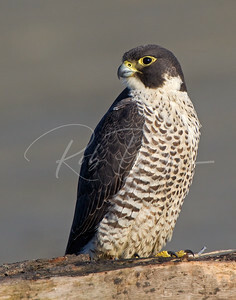 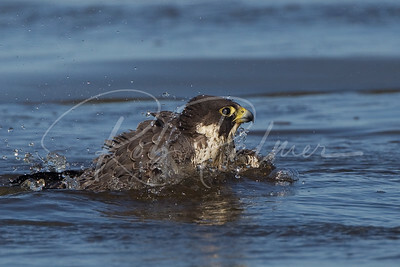 Portrait of an immature peregrine falcon.